With the laser turning process neither a mechanical force nor relevant thermical influences have an impact on the material and this is why tappets with very small diameters and a good surface quality can be produced. The ejector in the picture has a length of 9mm and has been produced in a clamping process which is made of carbide and with a tappet of 40µm. We have long-standing experience with the production of micro laser drilling. We work hard materials which are hardly to be worked on like hardened steel, hard metal, ceramics and diamond. But we are also able to drill standard materials like high-grade steel, copper alloys and plastics very exactly. 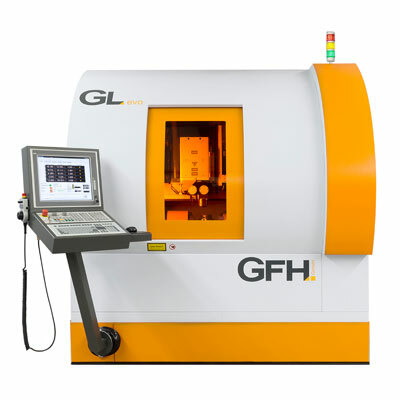 With the GFH laser machining system, ferrous and non-ferrous metals as well as non-metallic materials up to a thickness of 1 mm can be cut. 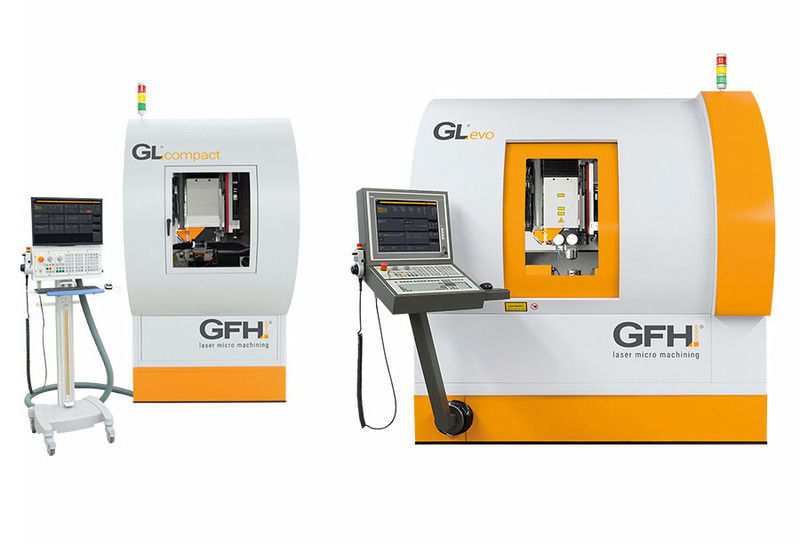 The speed primarily depends on the desired contour and surface quality. Cleaving refers to the local modification of transparent workpieces like glass, fused silica or sapphire in order to release material along the introduced modification in a subsequent process. Advantages of this method over conventional mechanical processes exist in a micro structure modifi-cation in the complete volume of the material. This allows crack formation to be controlled in all spa-tial directions so that a homogeneous and vertical fracture edge with low roughness (Ra <0.5 µm) is generated. In this way arched fractures can also be achieved. The field of applications ranges from ablation and coating removal processes to engravings and micro drilling with high aspect ratios. For the mentioned tasks different modules are optionally available. 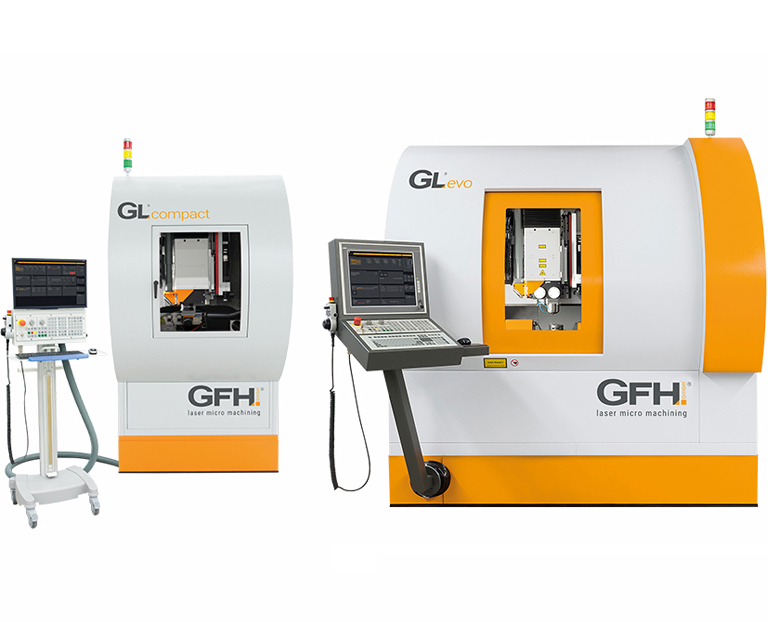 We develop, design and manufacture specialised equipment and machinery for your individual use. 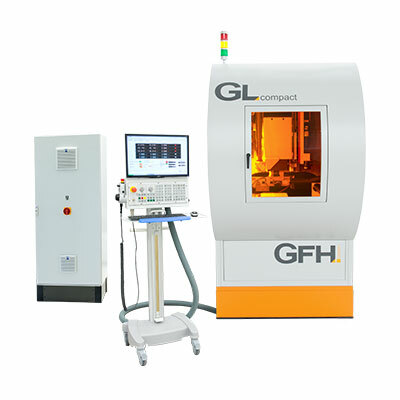 We plan and produce machines with swift, competitive and efficient operation.